The notion of sushi chefs acting like prima-donnas/divas is really getting old. It’s BEEN old. 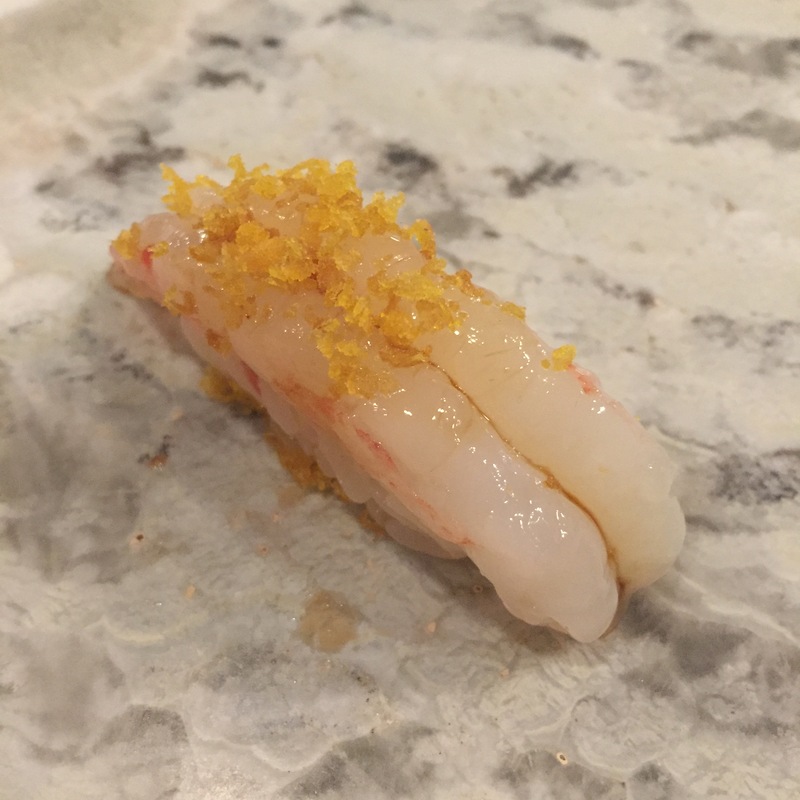 I don’t know what happened between Brooklyn’s 1 or 8 to today’s Juku, but chef Kazuo Yoshida is now the most uppity chef we have encountered in some time! He cannot be bothered to greet you, to present/explain any of his servings, so clearly, conversation, or general sushi convo is a pipe dream. We were the first to arrive as we are 99% of the time EARLY, bowed and greeted the chef, thanked him for having us, and continue the night as our usual friendly and respectful selves. By the 6th or 7th piece, boyfriend whispers, “What? Did his dog just get run over by a car?? ?” It was so frustrating. Why would anyone want to pay for a meal, where they are made to feel like they are such a bother to the chef? Kenji-san of SASABUNE – who we caught gossiping about his patrons. NOT cool! 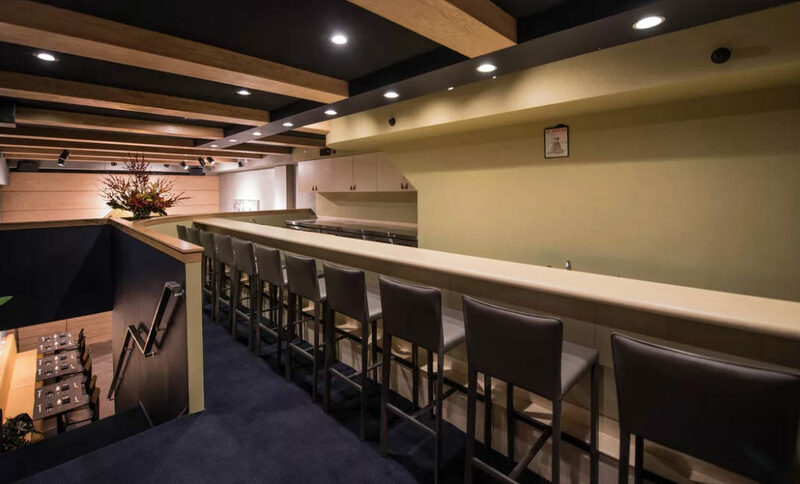 Kazuo-san of Juku – Just earned himself a spot on this list! 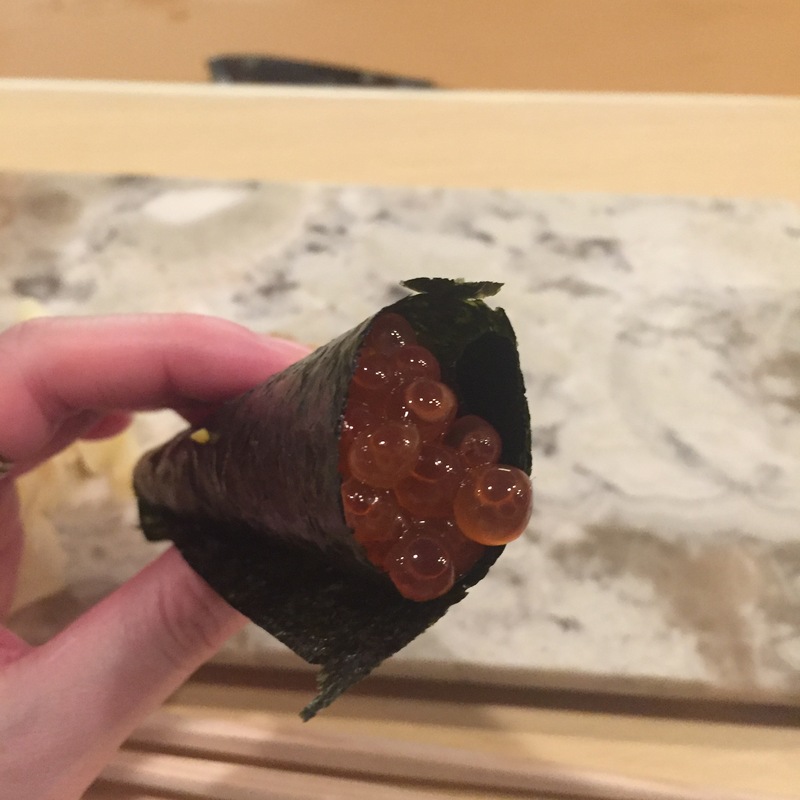 Hideo-san of USHIWAKAMARU – who both threatened to throw out my friend for dipping his sushi in the soy (the SHARI/rice part), AND who told boyfriend “first time, last time” when he asked for quail eggs served straight up. In all of our trips these past two years, we’ve only encountered the super friendly Hideo-san. Ishikawa-san of JEWEL BAKO – who punished me, a non-wasabi eater, with globs of wasabi, and threatened to seat us elsewhere when I repeatedly asked for less rice. 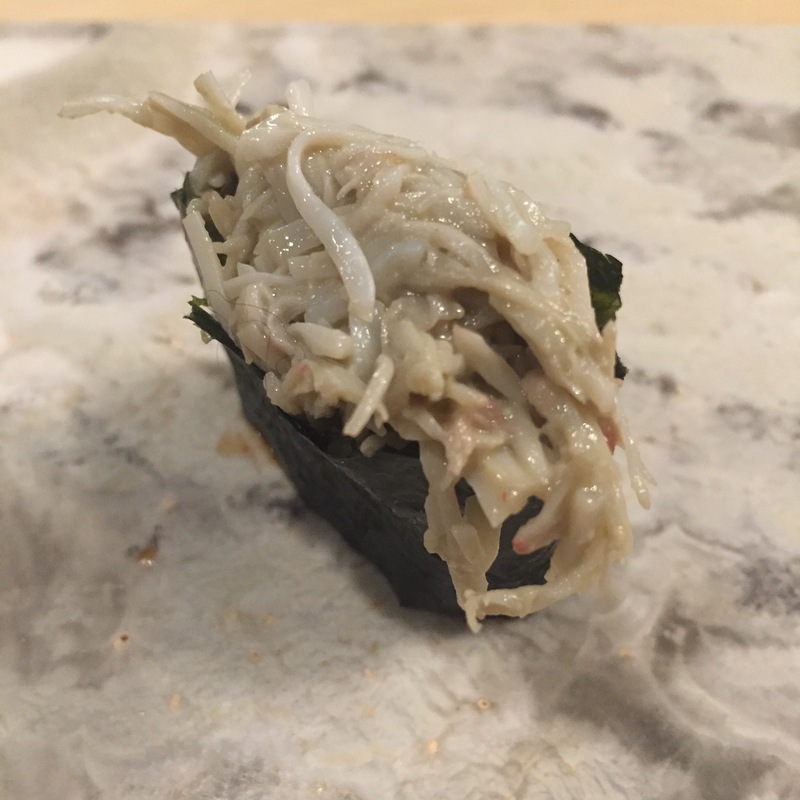 But in my most recent trip, which will be posted shortly, he remembered everything, no eel, no wasabi, and less rice, and was perfectly nice about all of it, and even super engaging! Talk about 180! Tomita-san of CAGEN – who was just overall cold, and military-like during our first visit. Since then he now remembers us, and is quite friendly! Saito-san of GINZA ONODERA – Please take a read on my most recent ONODERA post! Takashi-san of BLUE RIBBON SUSHI – We really don’t see him much now that he’s at Blue Ribbon Sushi. I just don’t like going there… There’s always a line, and they don’t take reservations! 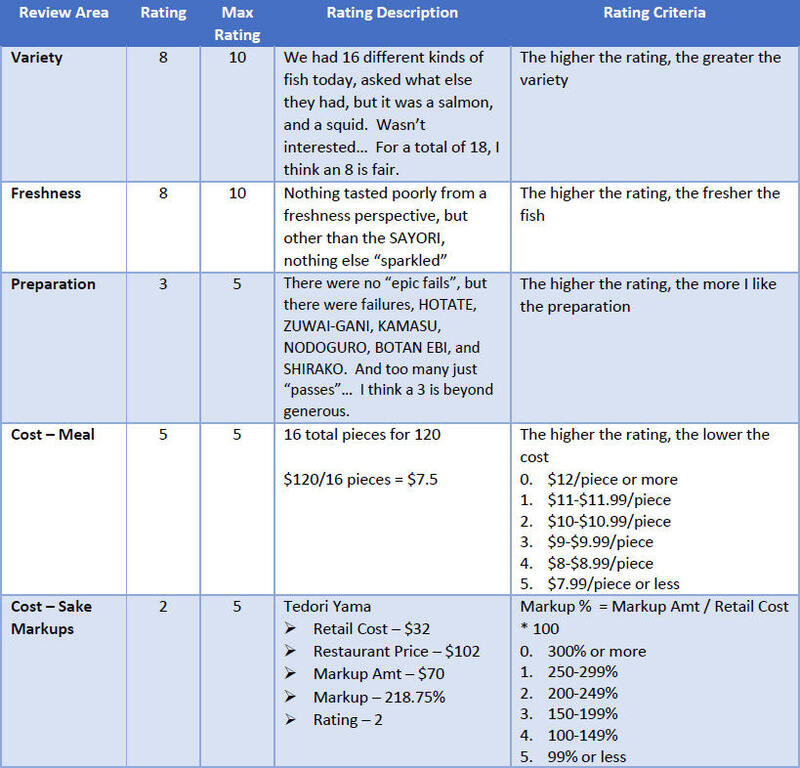 Note that Takashi-san’s now only working Friday/Saturday dinners, and weekday lunches. 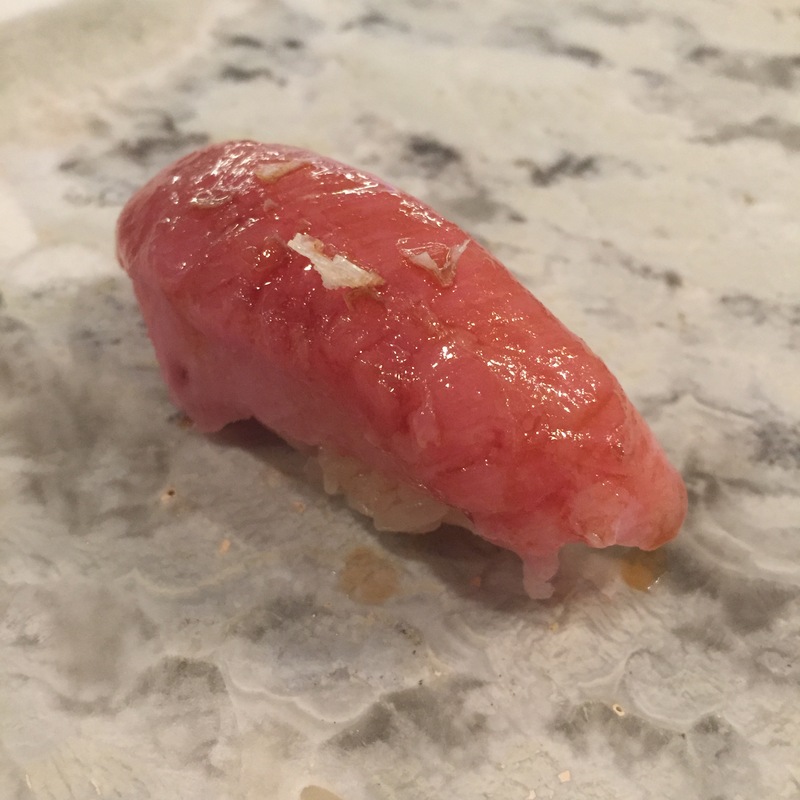 Kanma-san of BLUE RIBBON SUSHI IZAKAYA – Fell in love with him after Takashi-san left to go to Blue Ribbon Sushi, but he’s really won us over. Nobu-san of KANOYAMA – He’s not the warmest chef in town, but does warm up. And if you go enough, he’ll make room for you no matter how busy he is! Sono-san of KYO YA – We always feel loved there! BTW – The names above could be EITHER chef’s first OR last name. Traditionally, you should be addressing the chef by his last name, BUT many chefs will just go by what is easier. I just follow suit from the host/hostess. So… if I messed up any of your/their names, I’m sorry, I take half blame for not confirming. The other half goes to your host/hostess! 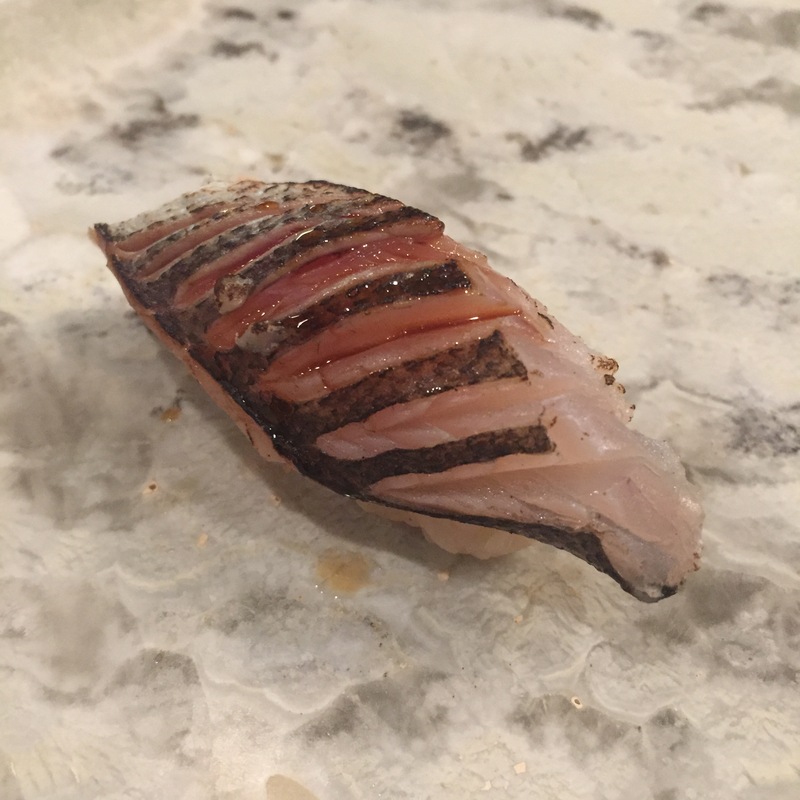 SHIMA AJI (Striped Jack) – Very unexciting, good flavors, but zero crunch. I suppose good enough? AKAMI ZUKE (Lean Bluefin Tuna marinated) – Not sure how long this was marinated for, but with the exception of the somewhat cured sides (marinating sometime “cooks” your fish ever so slightly), you can hardly tell it’s a zuke. The tuna was perfectly good though. Tasmanian King Salmon – OK, this is the best serving yet. 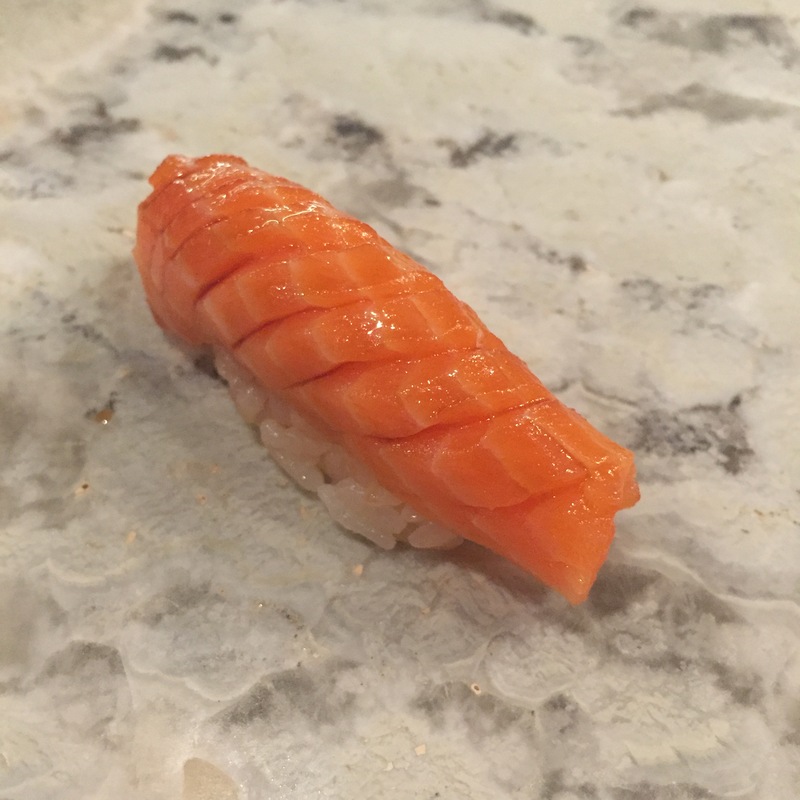 This is sad though, as I’m just not a fan of being served salmons in my omakase. 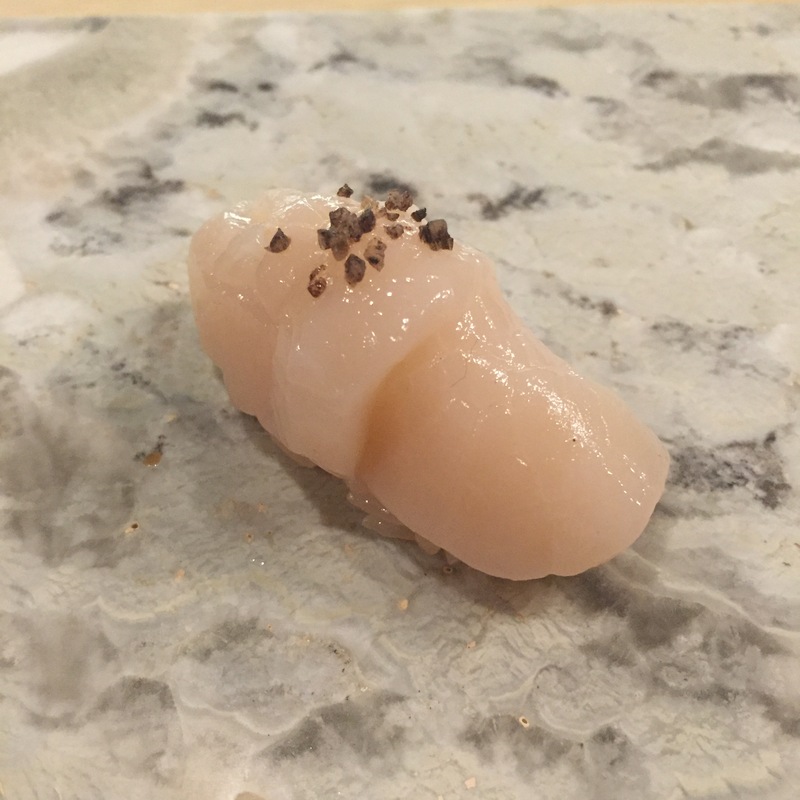 HOTATE (Scallop) – I enjoyed the HOTATE very much, but I HATED the Peruvian smoked sea salt! Completely overpowers the fish! AJI (Japanese horse mackerel) – Served chopped with ginger, shiso, scallions, and topped with seeds. 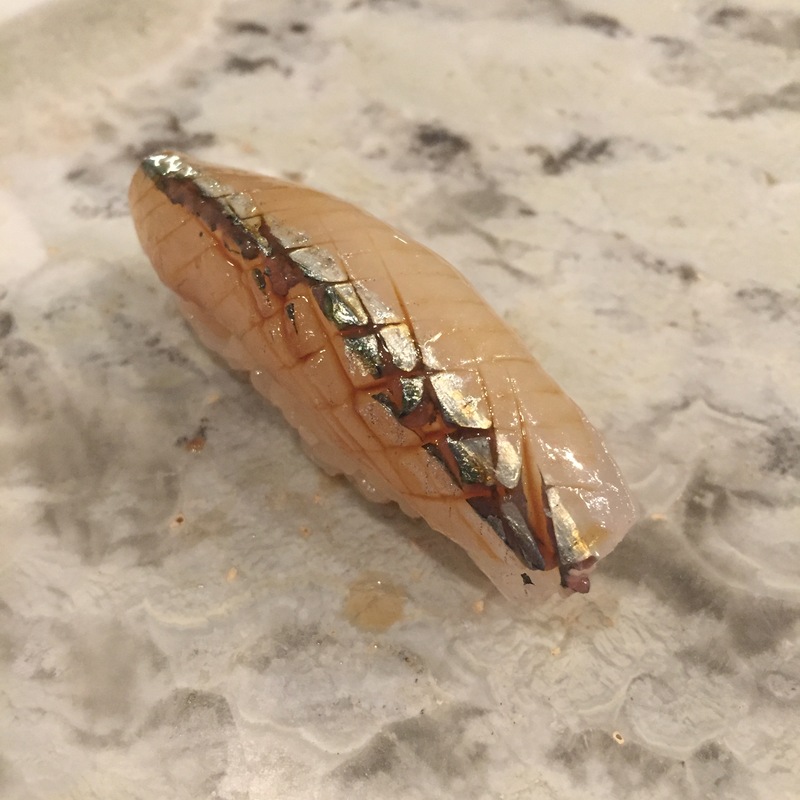 Chefs don’t typically expend this much energy on an AJI, maybe a SANMA, but rarely on an AJI. I enjoyed this. 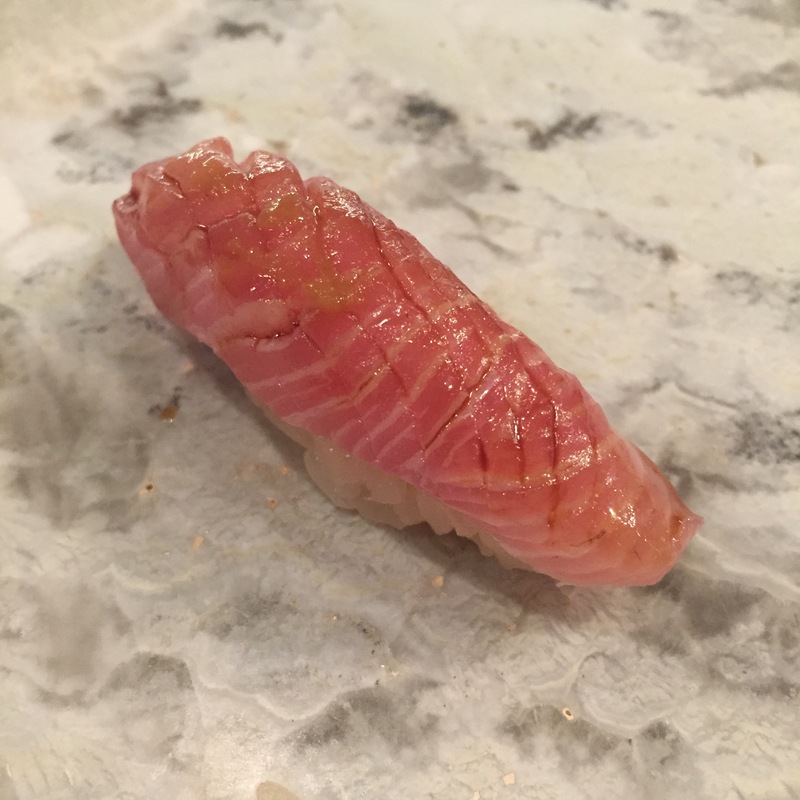 TSUMU BURI (Rainbow Yellowtail) – My first time having this fish was with Tomita-san of <a href=”http://www.sushigirl.nyc/review/cagen-jan-2018/” target=”_new”>CAGEN</a>. I loved it! 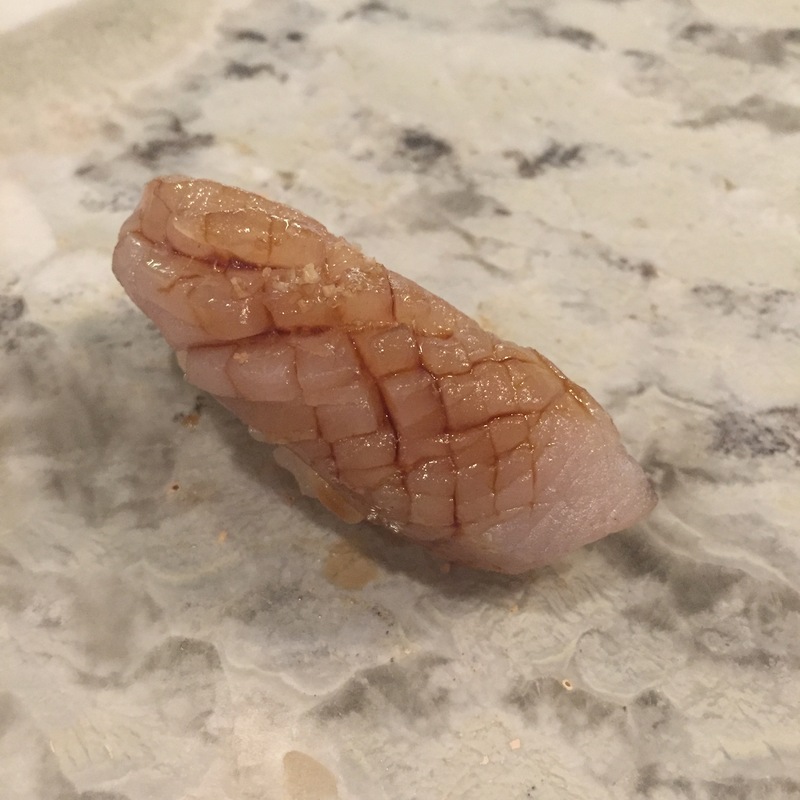 It’s not like other yellowtails. It has a very distinct flavor. Super rich and buttery. Really delicious. 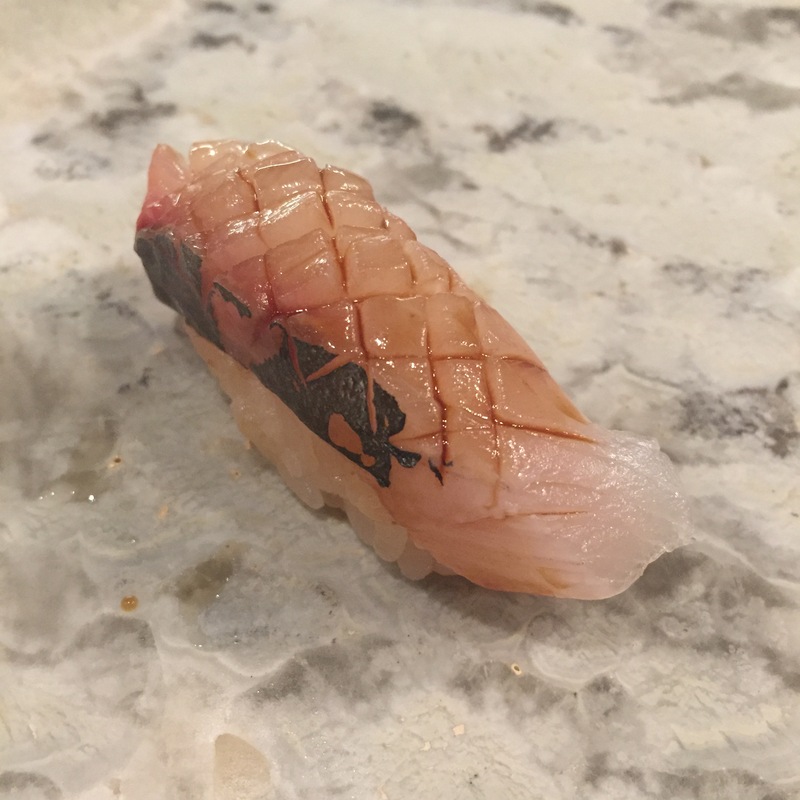 KAMASU (Barracuda) – Per Kazuo-san this is the end of the season for the KAMASU. Maybe that’s why it was so fishy??? Looks gorgeous, but did not taste so! SAYORI (Needle fish) – FINALLY! Really nice crunch, AND great flavor! 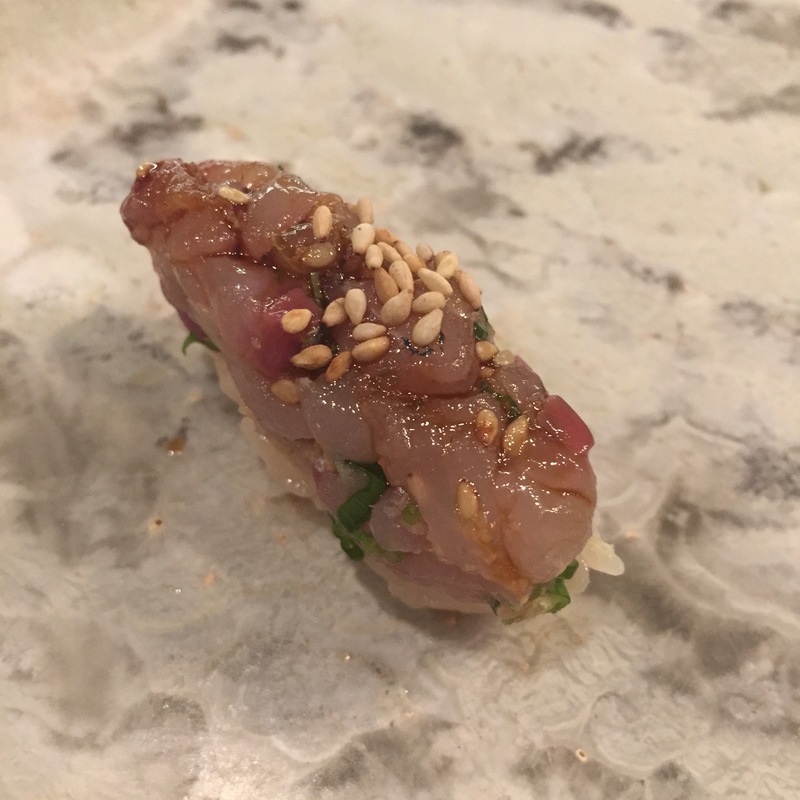 SAWARA (Spanish mackerel) – Served with “ghost pepper” sea salt. Insane, but I liked it!!! I so rarely like SAWARAs! This one was dense, light, and nicely finished with that ghost pepper salt. 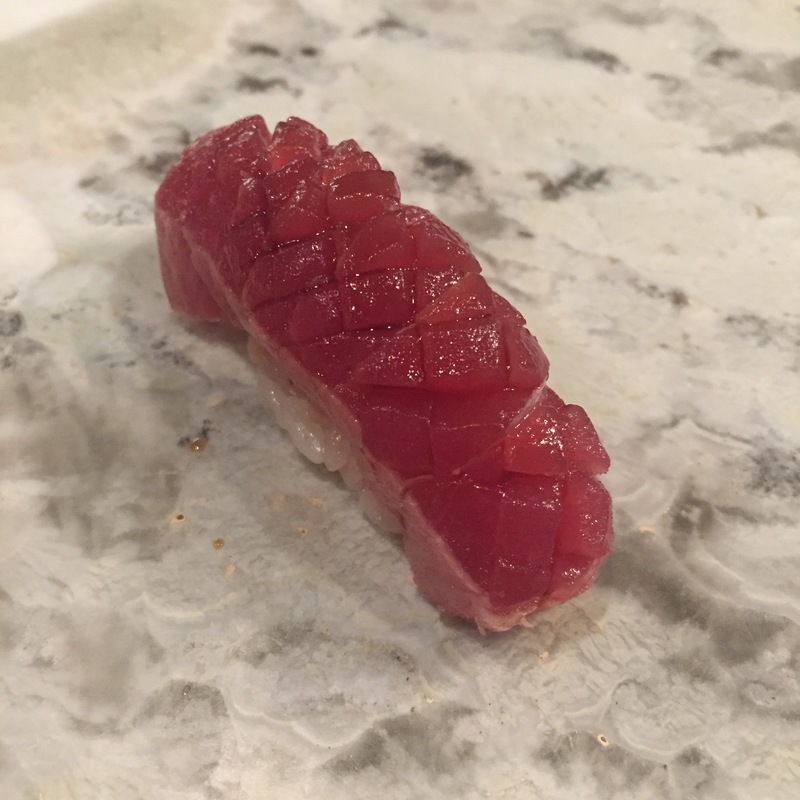 OTORO (Super fatty tuna) – Very decent! 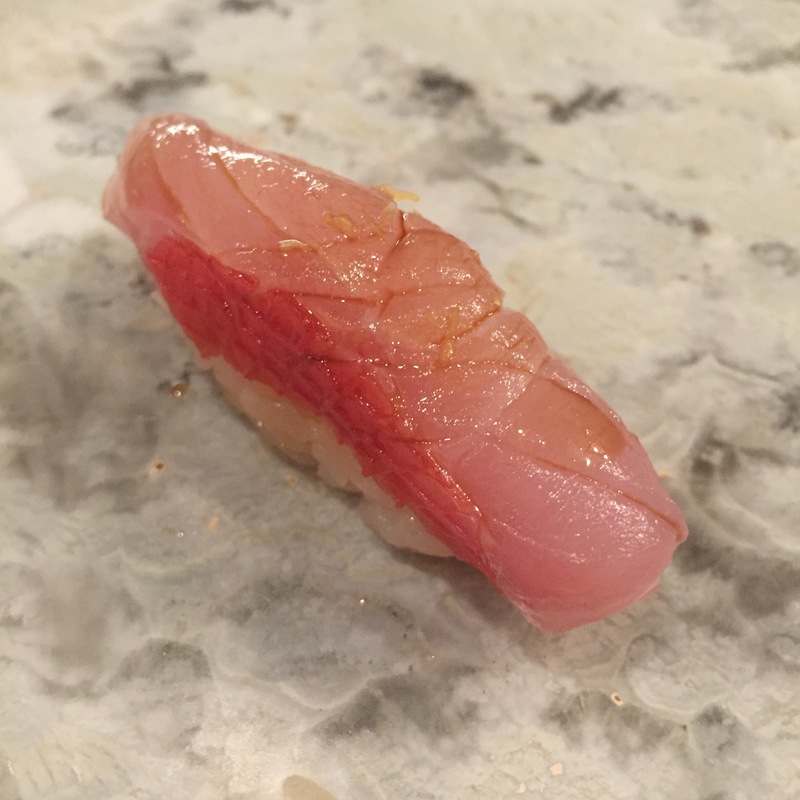 Nodoguro (Black throat) – You can’t tell from the photo, but it’s really thinly cut. 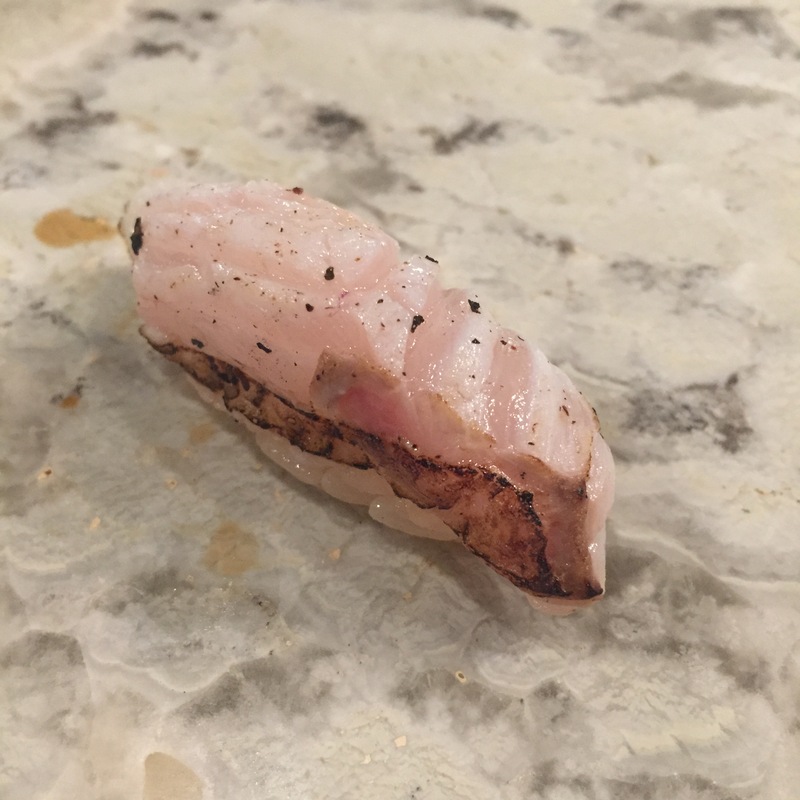 I would have preferred a thicker cut, and a little less citrus, and a little less ABURI-ing (torching). It was a bit over-powering. 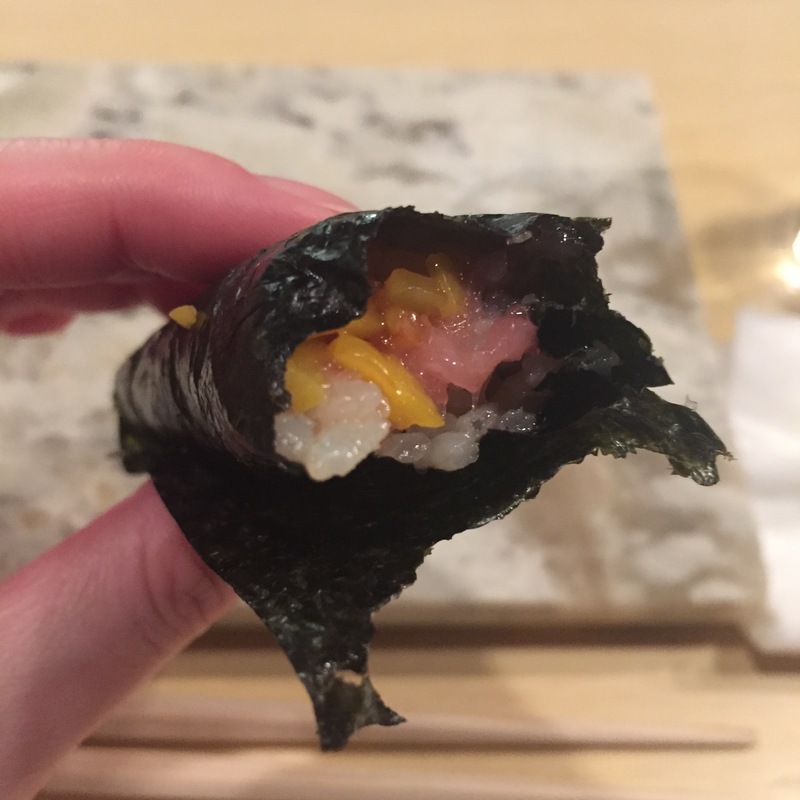 TORO TAKUAN hand roll topped with IKURA – Perfectly respectable handroll. 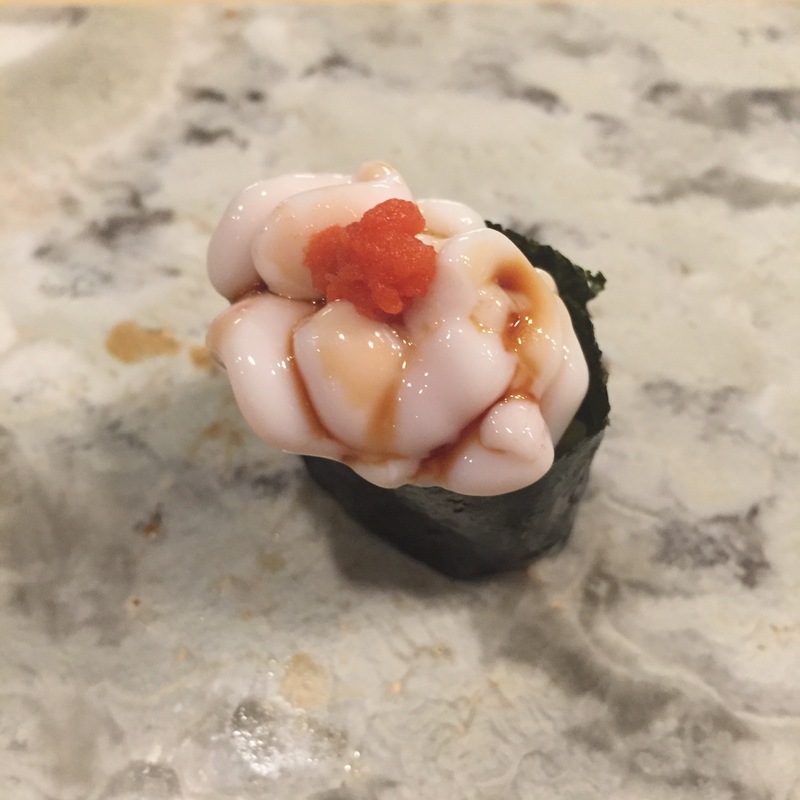 The ikura is the icing on top! 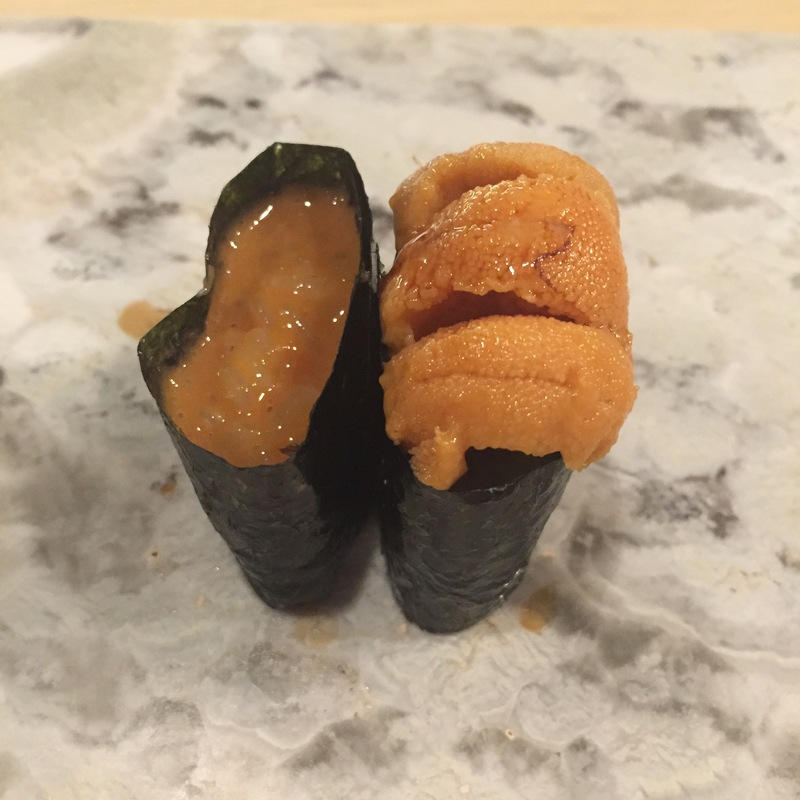 SHIRAKO (COD Sperm sacs) – My love for SHIRAKO began many years ago at USHIWAKAMARU. 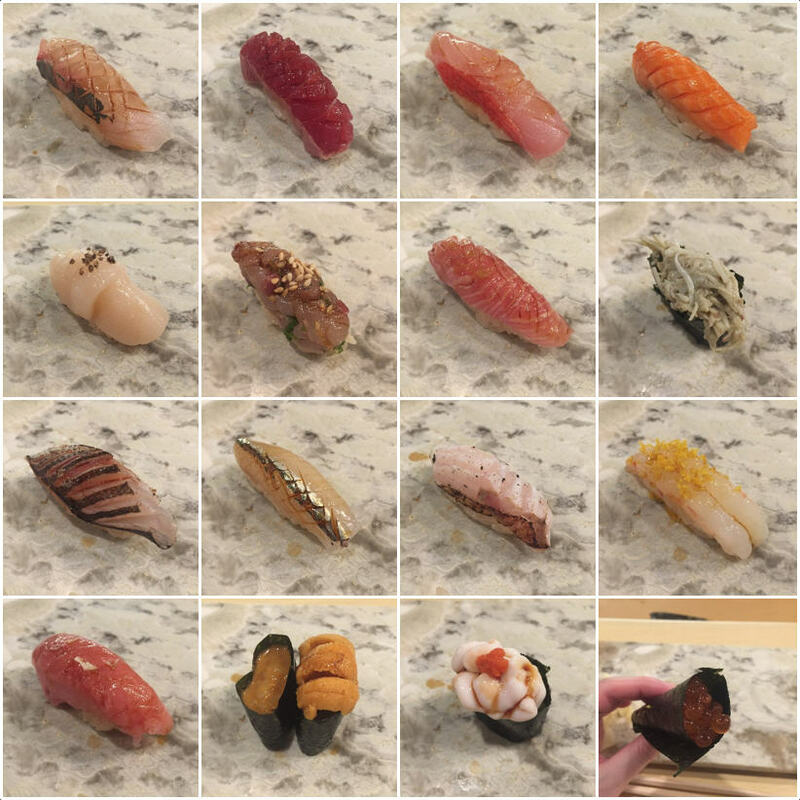 It developed over the years as pretty much ever higher-end sushi-ya in Tokyo and Hong Kong serves it as part of their omakase. I love it served in tons of ways, ABURIed, warmed and in a dashi, and just plain cold with a little MOMIJI OROSHI like Kazuo-san prepared. This particular serving was one of the fishiest I’ve ever had. This was the straw that broke the camel’s back, time to go!